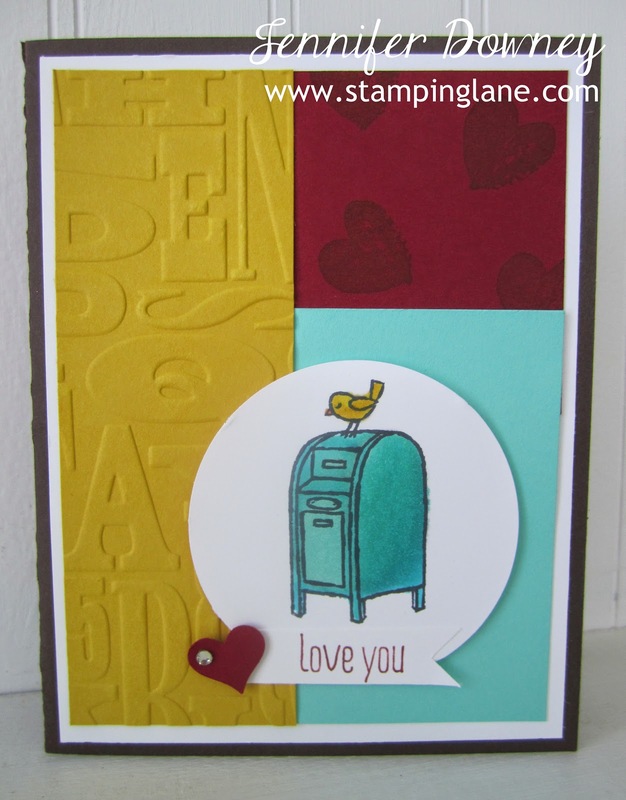 Stamping Lane: Celebrating World Card Making Day! Celebrating World Card Making Day! 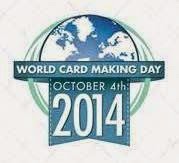 Happy World Card Making Day everyone! I had a FANTASTIC time with all the gals this morning! All who attended made a card, ate some delicious desserts and played bingo games to win some fabulous new stamping products! Everyone said they had fun which encourages me to hold this type of event every time a catalog comes out. Yeah! You never know until you try right? Thank you to everyone who came today! This is not the card everyone got to make today (I will share that with you another time), instead I thought it would appropriate to share a card that depicts my love of making and sending cards and my love for those of you who support me in one way or another to do so. I thought it would be fun to do a color blocking background in Cherry Cobbler, Coastal Cabana and Crushed Curry. To give it even more interest, I stamped on one and textured anther. The mailbox and bird stamp is from the For The Birds set. I thought it would be fun to give our Coastal Cabana Blendabilities a whirl and give the mailbox some color and depth. So for all of you who support me with my stamping business, I truly appreciate it! You let me be able to do what I LOVE TO DO! And for that, I "love you"! Happy Stamping!